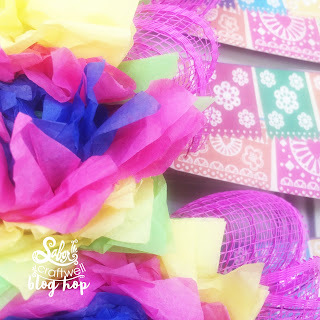 Cinco de Mayo Blog Hop! 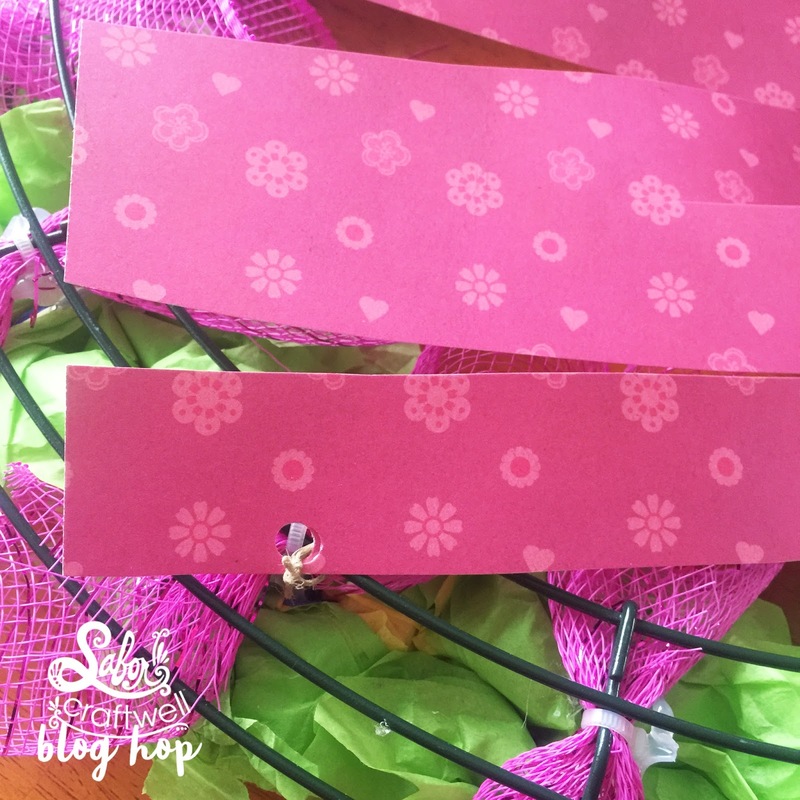 Cut 6x6 inch tissue paper squares to make tissue flowers. 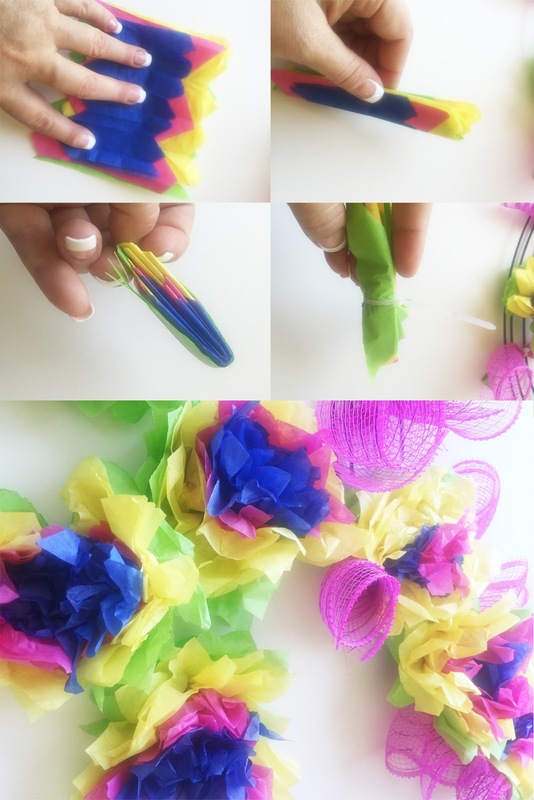 Choose 3 pieces of 3 different colors of tissue paper (9 total) and accordion fold tissue paper. Add zip tie and start to pull each piece of tissue paper into the center to form flower. 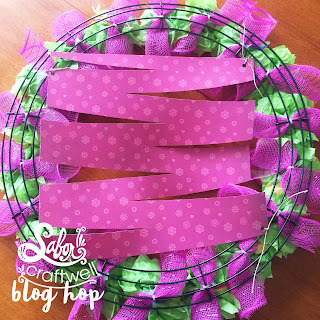 Use paper hole punch and twine to attach Sabor Papel Ole' Collection paper to the center of the wreath. 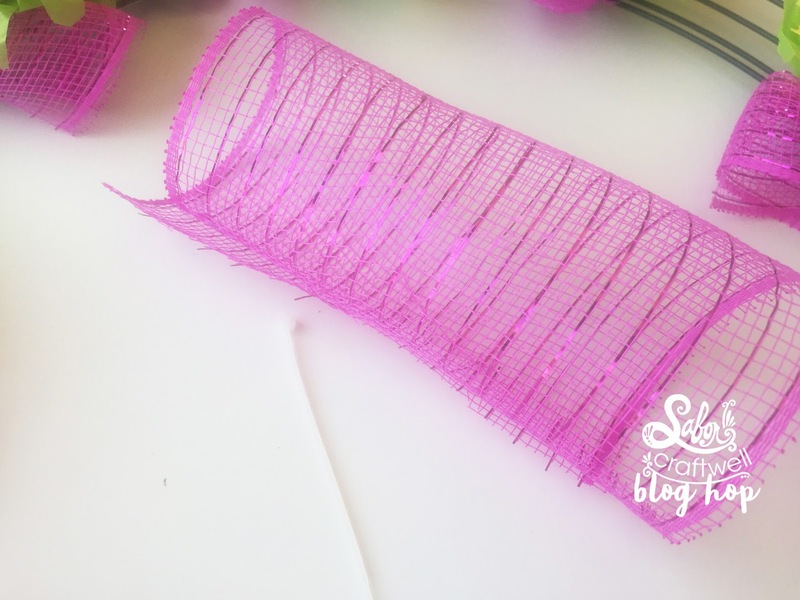 I love how this project turned out, it was so inexpensive and simple to make! 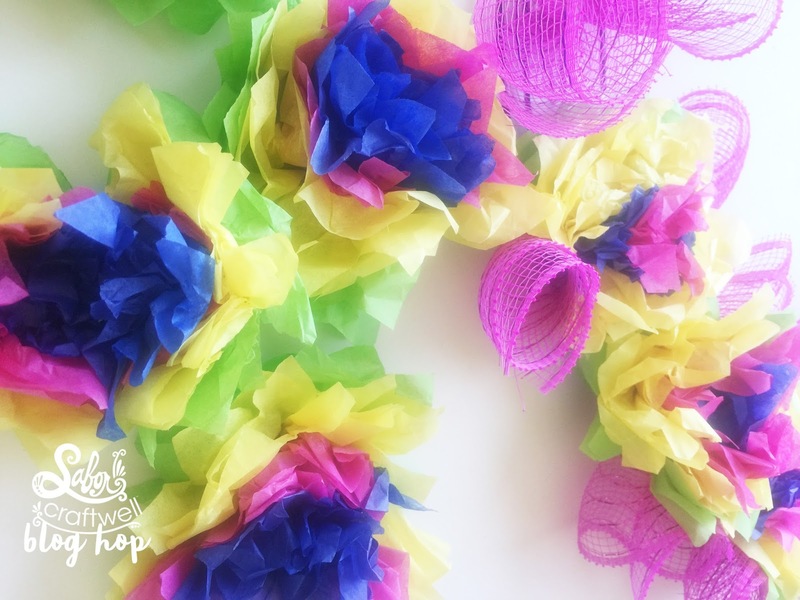 I hope this gives you some ideas for quick and easy fiesta decorations for your next Cinco de Mayo celebration! Enter now to win one of 6 fabulous prizes! For additional entries, you can comment once daily on each blog, through the 8th of May . Winners will be chosen at random from the comments left on all participant's blogs. US and Canada entries eligible only. 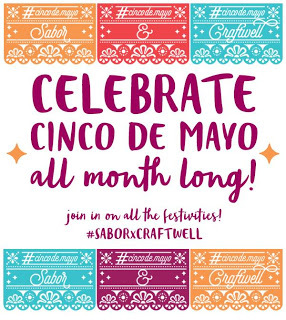 The winners will be announced on Monday, May 10th on the Craftwell blog and Sabor Papel blog. Such a festive wreath!! So fun! Is a good idea. Thank for sharing tutorial. Wow! 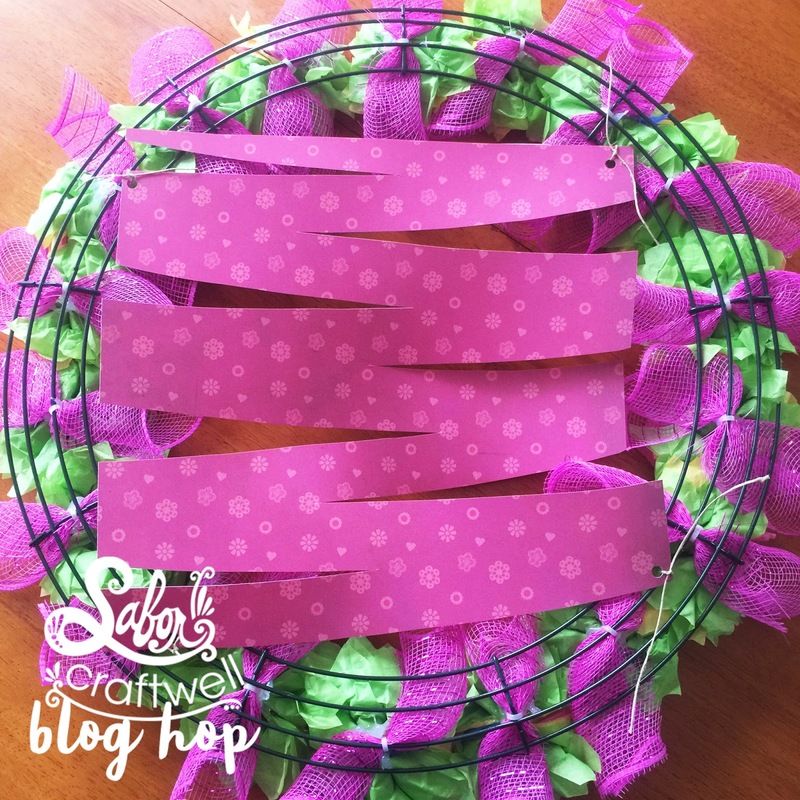 I think I love this better than the summertime flip flop wreath! So bright and inviting! Thank you for sharing! I love the wreath! I remember making tissue flowers as a child. Very nice. How gorgeous!! What a fun way to use this line!! Your wreaths are always amazing. This looks so easy! I am just a beginner on wreaths. I'd love to have something that great hanging on my door. and looks easy to make. Oh my gosh I love this wreath. Tammy your wreath is so beautiful! I absolutely love the fun and festive colors. So happy have found a crafty new FB friend, looking forward to more inspiration from your projects! 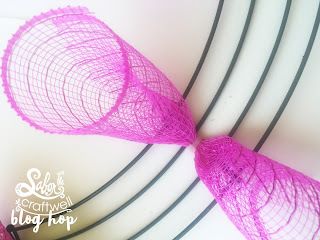 Excellent, just adorable, love this idea of the wreath. Love the wreath! The paper is perfect! Such a cute wreath! Love the bright colors they make me so happy. I remember making paper flowers with tissue paper when I was going up in Mexico. Love your wreath! The Sabor papers mixed with the tissue papers turned out beautifully!! This wreath is gorgeous and colorful which is perfect for celebrations like Cinco de Mayo!! Totally reminds me of Freda Kalo, the flowers, the colors, oh my! Very cool! Never seen anything like that before! Beautiful project and the wreath looks so festive. 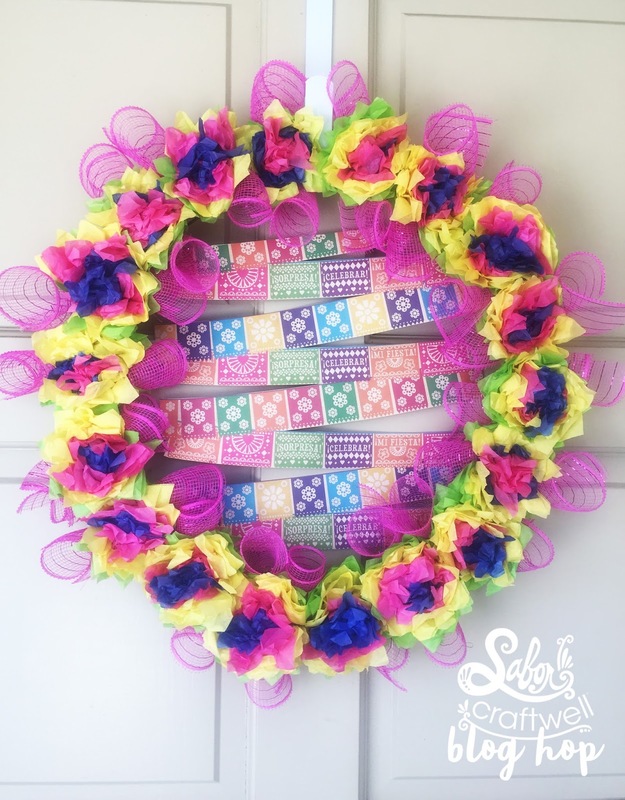 Pretty wreath with a nice combination of textures and colors! Thanks so much, the paper is so fun! Wow, such a bright and festive wreath!! Those colors just make me so happy!